No Haunted house would ever be complete without creepy spiders and miles of webs stretched across every possible surface. While I’m not hoping to convince all of you to like spiders; there are some interesting facts to share. 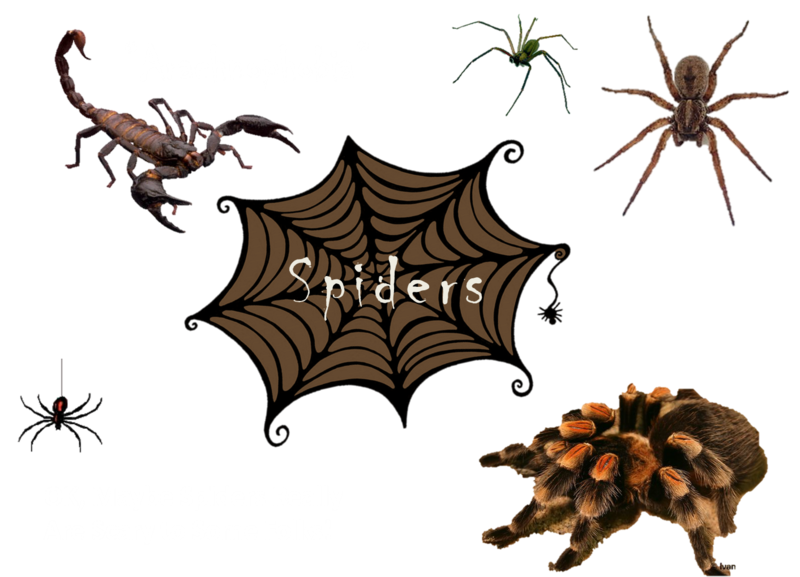 • Spiders are insectivores and eat all kinds of bugs including wasps and hornets. • They are typically nocturnal. Most gardeners welcome spiders because they are like having a pest control service that works 24/7 for free. 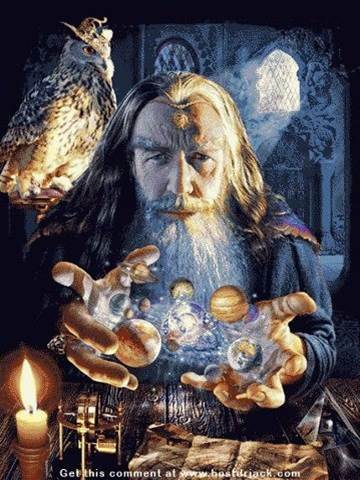 • Many do not spin webs. 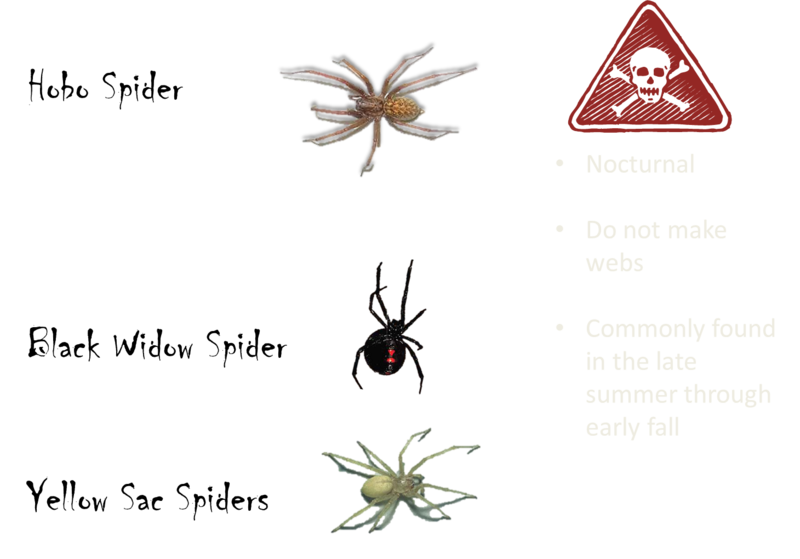 • You are most likely to see spiders in the late summer or early fall because that is mating season for many spiders. • Spiders are considered a delicacy for many in Asian and South American countries; scorpions, tarantulas and spiders are eaten. • Spider venom is used in neurological research and may prevent permanent brain damage in stroke victims. • The silk produced by spiders is used in many optical devices including laboratory instruments. • Some birds, like the hummingbird, use silk to hold their nests together. Warning: Spiders like to be in dark, tight spaces. Be especially careful reaching into rocks, woodpiles, attics and closets. 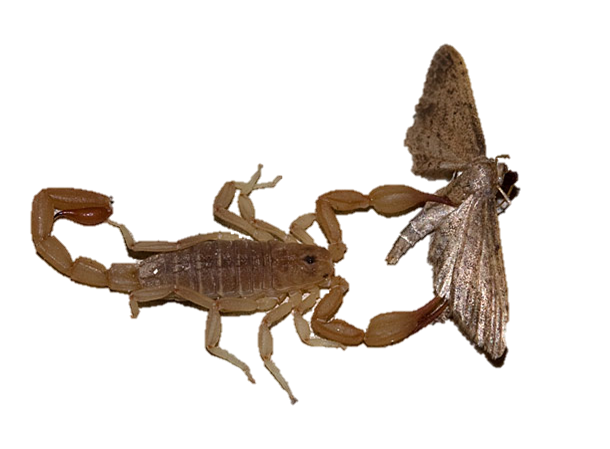 Fossil records show that scorpions are one of the oldest invertebrates on earth. There are 1,500 different scorpions in the world, 5 are found in Oregon. Baby scorpions are born alive and mom carries all of them around on her back. 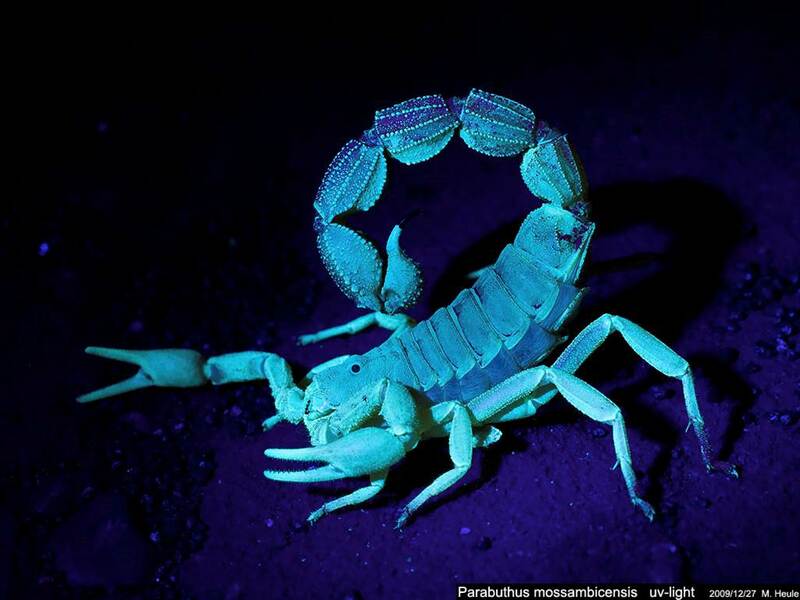 Scorpions are very sensitive to UV light and often will not leave their borrows even on a full moon – the coolest thing about scorpions, they glow green under black light. Whether our fears stem from urban legends or real-life encounters, it’s normal to be scared of wild animals that could cause you physical harm. But some animals get a bad reputation, thanks to tall-tales or out-and-out myths that just won’t go away. Even if you’re not crazy about some of the animals we talked about in this post; hopefully you will not fear the unknown. So this Halloween, don’t be cringe when you look at all the creepy animals around a haunted house, smile knowing so many animals are out there helping us. 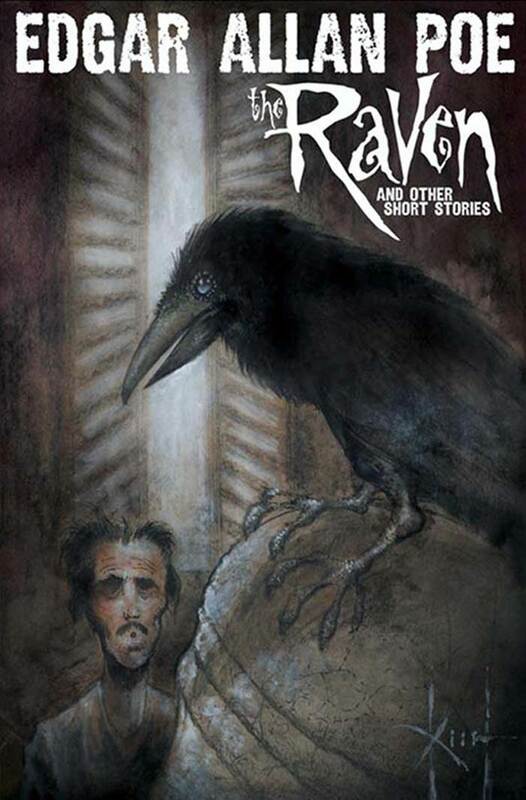 Of course, the most famous raven is the creepy character in Edgar Allan Poe’s famous “The Raven” poem, a popular piece of literature every Halloween. 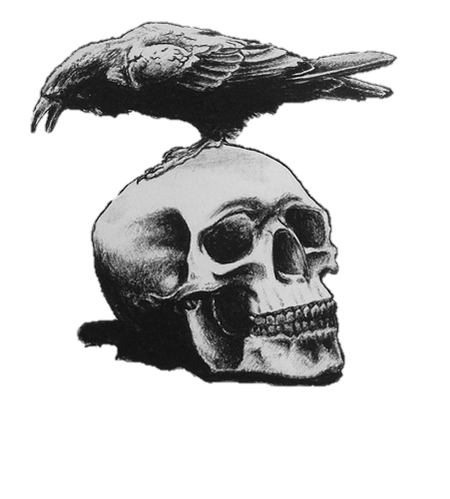 The crow is often considered a bad omen of things to come or a messenger. Crows were once thought to lead the sun to the underworld. A group of crows is a murder. Black feathers and the fathomless, shiny, black eyes of the raven symbolize mystery, shape shifter, the occult and dark secrets. Among the smartest of all birds – Native to Oregon and much of North America. They are predators, highly social and use team work. 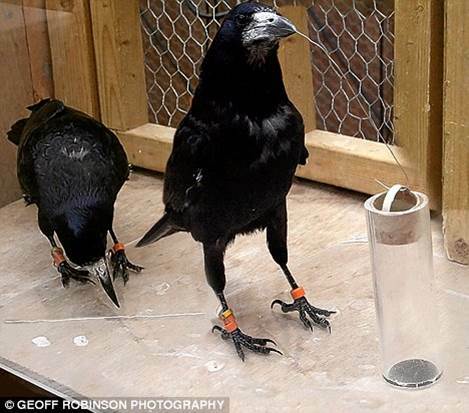 Researchers found that if a crow had a bad experience with a human that they would remember that specific human and communicated with other crows warning them of that specific person; equally they remember people they liked and would go to even without the lure of treats. They can use tools, communicate with each other non-verbally, problem solve and most impressive, they can fly upside down. 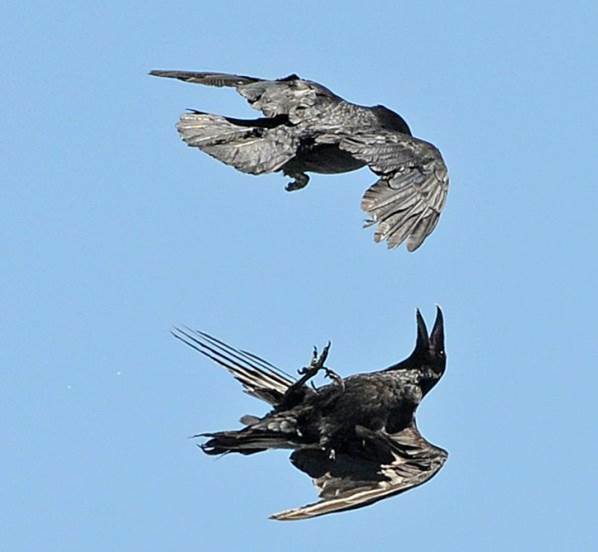 Crows and ravens are scavengers that will eat carrion so they, like the turkey vulture, clean up a lot of messes that other animals (including us) won’t touch with a ten foot pole! 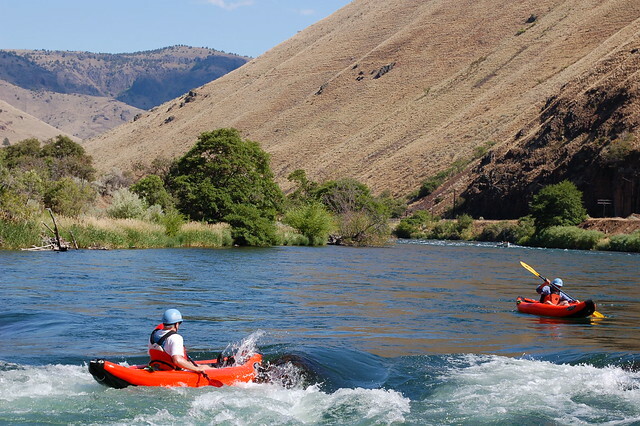 Boaters are invited to join the Oregon State Marine Board agency staff and non-motorized advisory committee members for an evening of dialog about your boating interests and what you might need in your area to better support your activities out on the water. Vultures have a frightening reputation and an association with death because of their eerie bald heads and their habit of eating anything already dead. Preferably very dead. 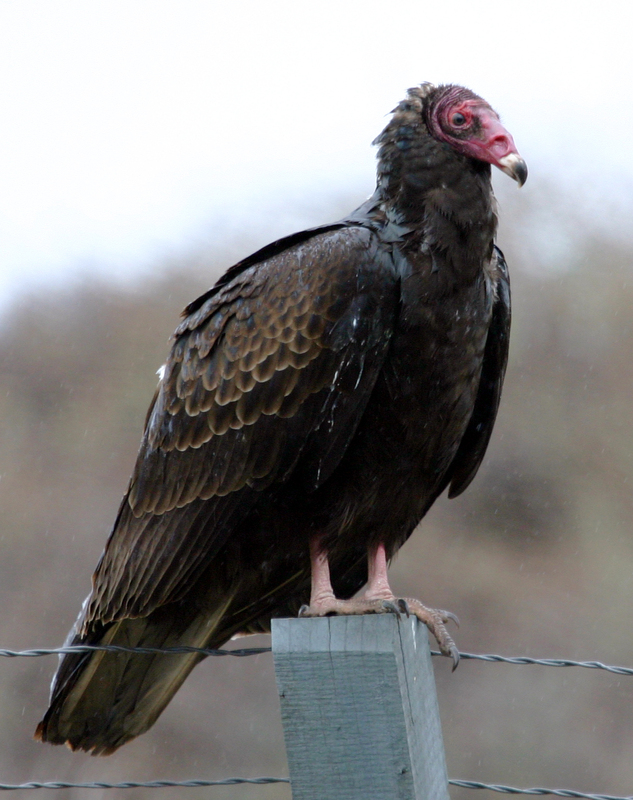 Despite their grotesque appearance, the turkey vulture does a job that few other animals are willing to do and should be respected for it. As a consummate scavenger, they are nature’s garbage collectors. This large bird stands two and half feet tall, weighs up to four pounds, and has a wing span of seventy inches. They’re bigger than most birds of prey, except eagles. Vultures typically fly with its wings in a V shape. It is related to storks and flamingos. They have amazing eyesight, they can pick out dinner more than three miles away. 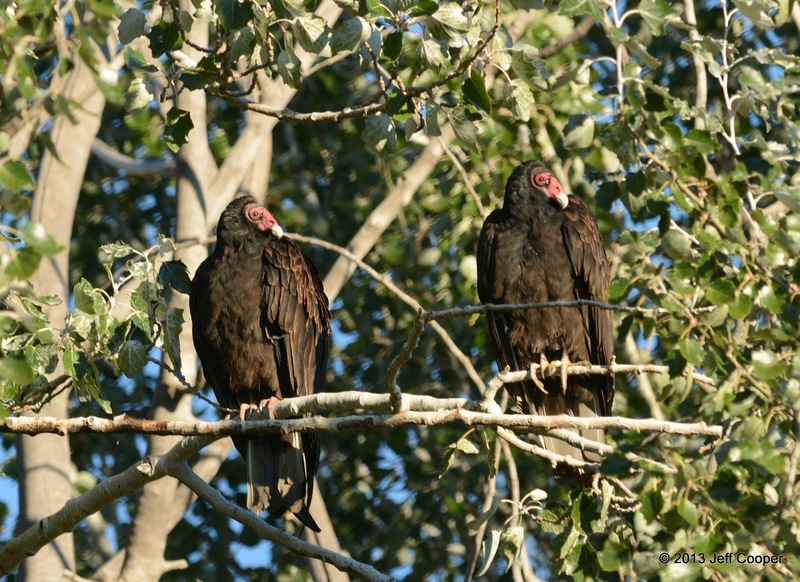 Turkey vultures are a little short on social graces; if a turkey vulture becomes frightened or over indulges at dinner it is known to have projectile vomit. They also urinate on their own legs to keep cool, and it produces several pellets, made up of indigestible parts, a day – so watch out! All that being said, they do bath regularly and preen for up to three hours a day. They are social birds and have been seen playing follow the leader, tag, and speed soaring in high winds. These birds are commonly seen soaring above the park in the summer. There are three turkey vulture roost trees at The Cove Palisades. 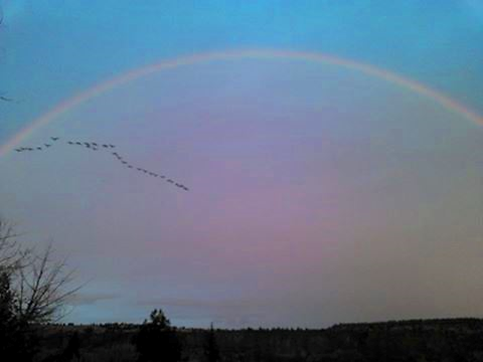 Two are in the Cottonwood trees in the Upper Deschutes Day-use Area and one is in the Deschutes Campground. Recently, while leading a night hike, we found three very large birds in a Cottonwood tree up in the Crooked River Wetlands Area. Speculation about owls was mentioned in early folklore, too long ago to date, but passed down by word of mouth over generations. Mysterious by nature, silent in flight and nocturnal, the owl is a subject of either fascination or fright. Few other creatures have so many different and contradictory beliefs about them. Owls are known for their silent flight and being able to sneak up on prey. This is because of the serrated edges to each flight feather. 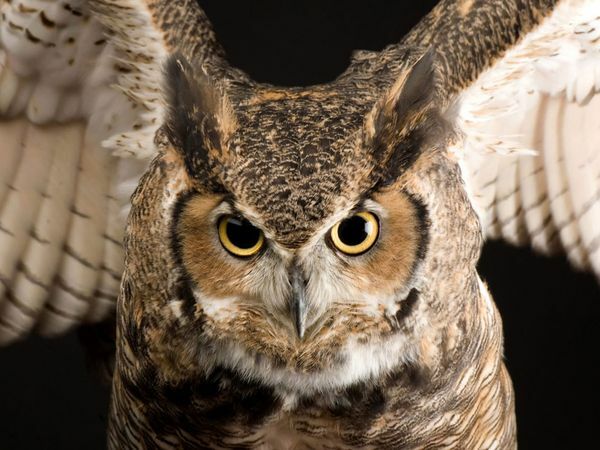 Soundless wing flaps allow the owl to hear it’s prey more than 900 feet away. 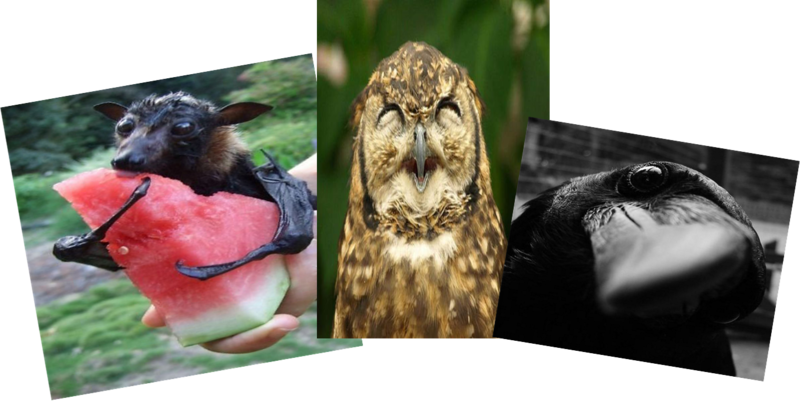 They eat insects, rodents, lizards, toads, frogs, bats, other birds, and fish. Owls don’t have teeth, they swallow their prey whole and food is processed in their gizzard. They produce “owl pellets” several times a day that contain undigested food parts like hair and bone. Barn owls are most often misrepresented in Hollywood as an evil creature. They do have a strange face and a high pitch scream, instead of a hoot but they are by far the best mousers of all the owls. A single barn owl can eat more than 1,000 mice in a year. The great horned owl is not necessarily a “wise old owl” but they are the most common owl in North America and the largest owl here at The Cove. Females are larger than males. They hunt at night and can carry prey several times heavier than they are. They have the longest eyelashes of any owl. 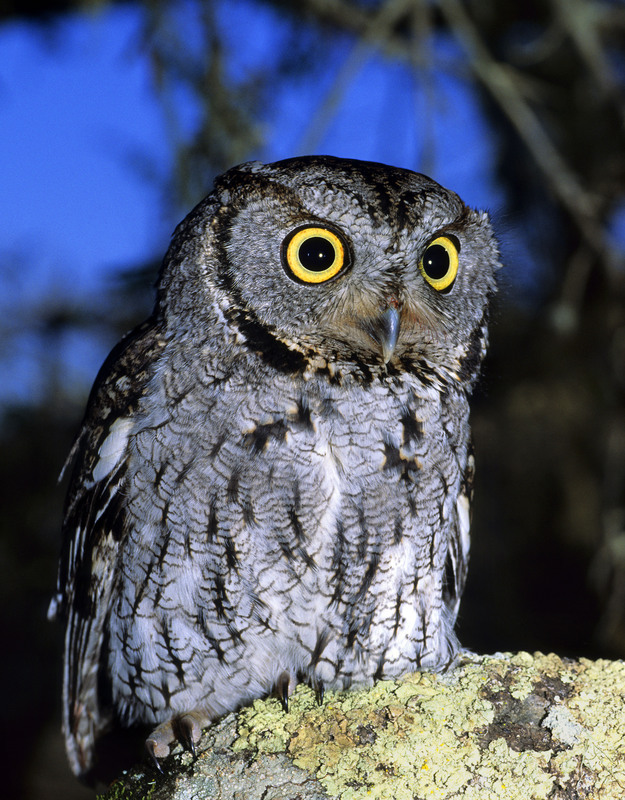 The western screech-owl is small but has huge yellow eyes. He is drawn to your campfire not for any nefarious reasons but rather because he’s hungry and bugs are attracted by the light. It rarely glides but flies more bat-like with erratic movements. There was a nest of western screech-owls in the Deschutes Campground this year. 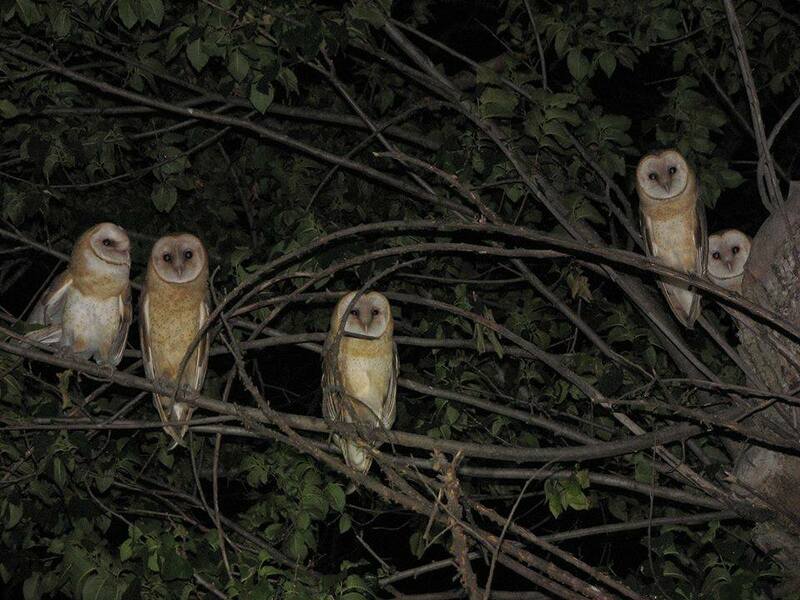 Three owls were born to the park and made a lot of noise for campers in B-loop! Check out the Cove Rattler each week this October for an ongoing series of Halloween Animals We Love to Fear. Each week a different animal will be featured that you will find at The Cove and around any good haunted house. You know, the cool animals that can be just too cute for words until Halloween comes and then we are afraid of them. You will find that those “evil, blood sucking, monsters” lurking around every corner in October offer us many benefits, they may even save you a lot of money or save your life! Long ago we made up stories to explain the unexplainable – often with a few flaws in logic. Now we make up stories to entertain ourselves. Masterful storytellers, like Bram Stoker (Dracula) and Edgar Allen Poe (The Raven) and movie writers/makers like Alfred Hitchcock (The Birds), J.K. Rowling (Harry Potter) and Don Jakoby (Arachnophobia) can spin powerful yarns that cause a chill to race down your back. Even Disney Movies starred villainous vultures, ravens, owls,wolves, snakes, cats and mice. So let’s demystify some common misconceptions. The Truth About Common Myths: Bats are not blind, they do not get stuck in your hair and death is not coming if they fly around your house three times. More importantly they do not turn into vampires (much to the disappointment of millions of Twilight fans). Among the least appreciated but most beneficial of mammals, bats are a vital part of entire ecosystems – and worth literally billions of dollars to the world economy. They are also the mammal capable of self-flight. Local bats in Central Oregon are micro bats. They are generally small, nocturnal (come out at night), insectivores (eat insects), use echolocation and yes, they do sleep upside down. 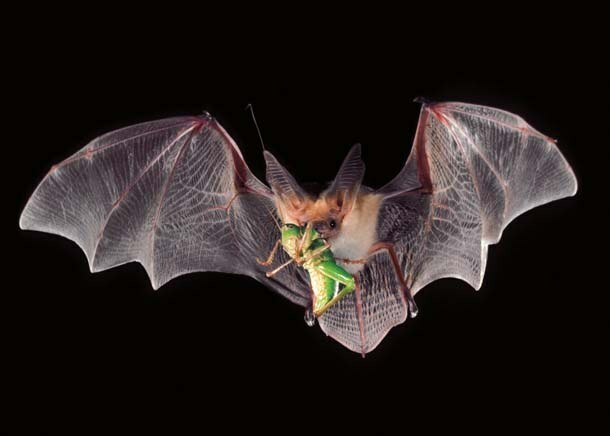 Bats provide natural pest control, resulting in less pesticide use and less crop damage. Some bats can eat 800 – 1000 mosquitoes in an hour! The Pallid Bat can eat scorpions! Even the most feared, the Vampire Bat, the only mammal that feeds entirely on blood, only laps up a couple of tablespoons of blood – typically from cattle – a day. Never fear, the good news is that they live in Central and South America. Humans obtain 80 different medicines from plants that rely on bats for survival. 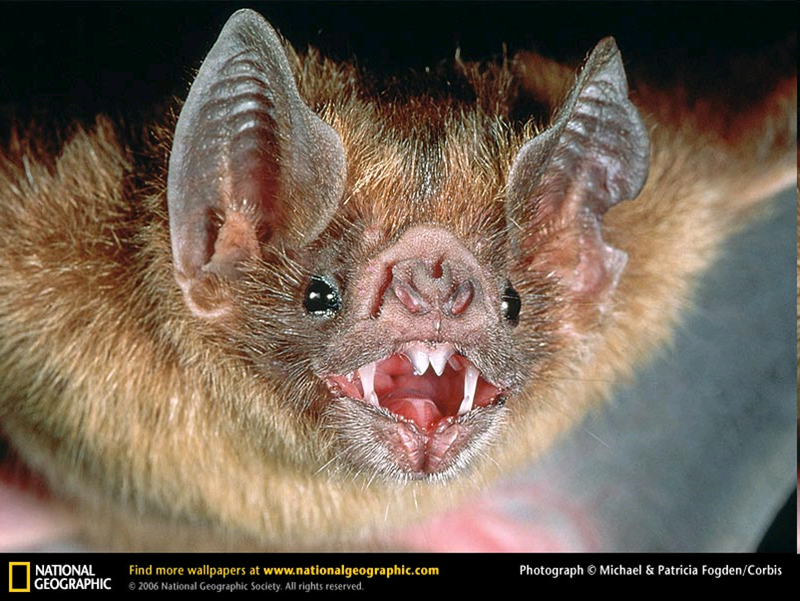 The vampire bat has saliva that can be used to prevent heart attacks in humans. Bat Guano is a very rich, organic fertilizer for your garden. NASA used bat guano in explosive charges used to deploy antennas in Mercury and Gemini capsules.